Residential consultations may be scheduled through this web site by providing the information on the “Contact Sally” page. As the consultations are interactive, we greatly appreciate your taking the time to review all of the items found on this site. This will give you a better understanding of the scope of Sally’s practice. Through her work with homeowners and designers, Sally has developed the tools for her retailers to consult with clients on the development of their individualized color palettes. Whether it is the orientation of work space, the understanding of architectural features impact on the individual or the influence of color tone on worker mood, performance and creativity; Sally is available for consultation on the recognized requirement to not only optimize square footage usage but to optimize spatial planning to optimize occupational output. If you perceive your work force is under performing and cannot understand why or are creating a new space and desire optimum performance, let Sally work with you to show you that color, space and lighting can be major contributors to worker productivity. What influences us from retail and office interiors to hospitals and clinics? Sally’s No VOC paints provide the excellent coverage admired by painters, while being safe and beneficial to the health of the public. Matched with Sally’s insights on colors and personalities, her ability to produce healthy interiors that maximize the purpose of the space is a winning combination. Sally is also available for home consultation at all locations for those who desire her unique and personal consultation expertise. 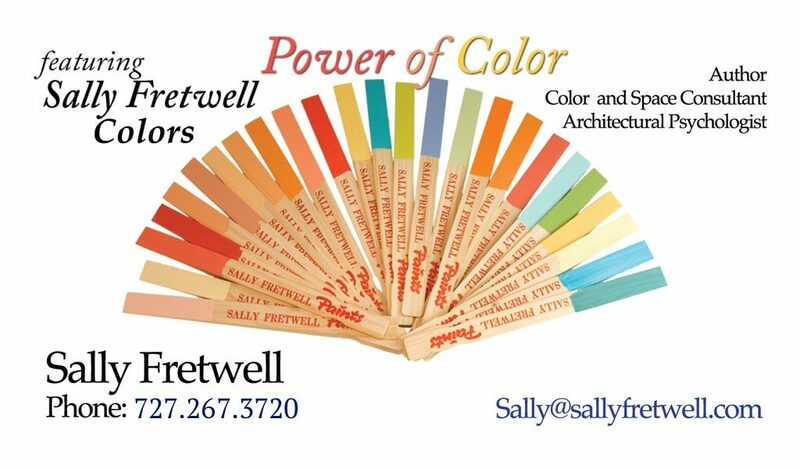 Sally can advise you not only on color but is also recognized for her expertise with space and lighting. Her rate packages are available at Sally’s Services page or just click here “Services“. 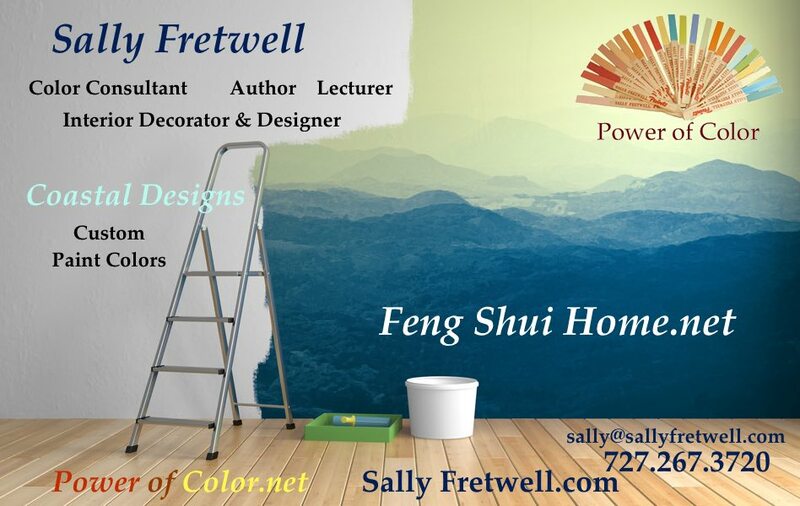 Please contact Sally directly at sally@sallyfretwell.com or the “Contact Sally” link at the top of this page for all consultation questions or requests. From books to magazines – Sally has shared her thoughts and insights with readers on topics from the psychology of architecture to color theory and space design.